EL REFUGIO animal refuge has announced that Naif, a dog recently found in Adra with a stab wound to the neck, with its legs tied together and chained to a post, is recovering well and looking for a new home. The dog was found by a local woman who was walking her own pets when she spotted the badly wounded animal hidden in undergrowth. After approaching to give it food and water she saw the terrible state it was in and called the refuge, El Refugio president Nacho Paunero explained. Luckily, although Naif (as the refuge decided to call the dog) had lost a lot of blood he has recovered well at the refuge headquarters in Madrod. “Sometimes there are no words to define what people who think they are human are capable of doing,” the refuge leader said. 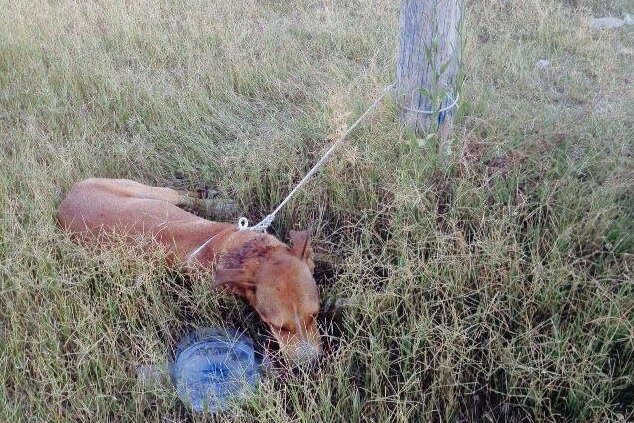 “Incidents like this show how much things need to change in Spain to put an end to cruelty. Anyone who knows of people mistreating animals should inform the authorities and trust our leaders to ensure they are punished in accordance with our laws,” Paunero said.